This week’s post is all about a seabird, whose distinct features and attitude have made it a common part of the beach-going experience. 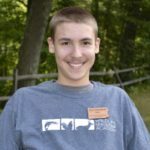 Peter L., a monthly blog correspondent, writes all about these birds, giving us the facts about them as well as his beautiful original photographs! 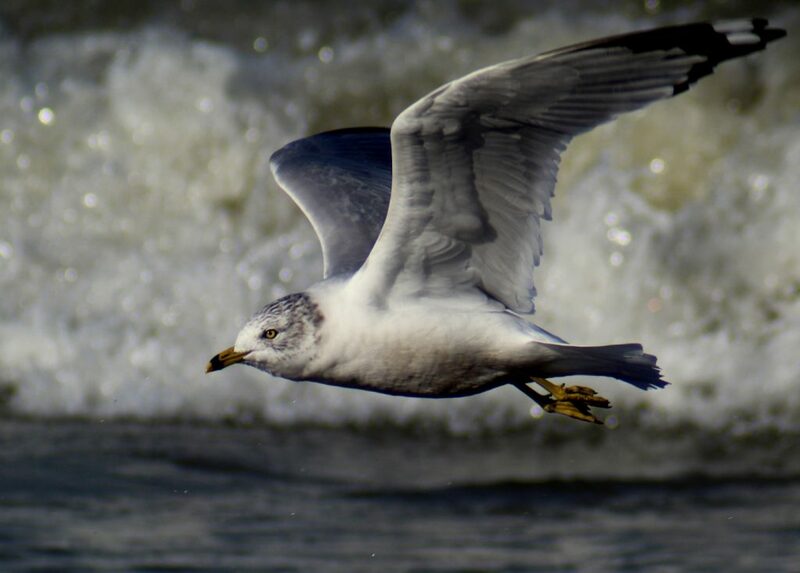 A Ring-Billed Gull skims above the surf on Lake Erie. Ring-Billed Gulls are a common sight in the Eastern United States. They like to associate with people, often convincing visitors to give them a morsel of food. 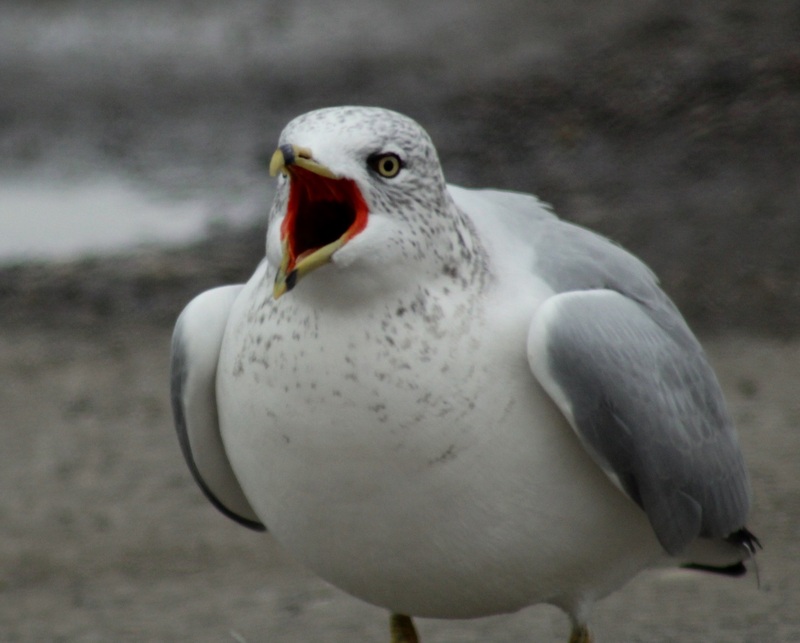 Ring-Billed Gulls will eat a wide variety of things—including fish, insects, rodents, grain, and garbage. Ring-Billed Gulls also consume French Fries and other human food, sometimes when the person who has the French Fries is not looking! 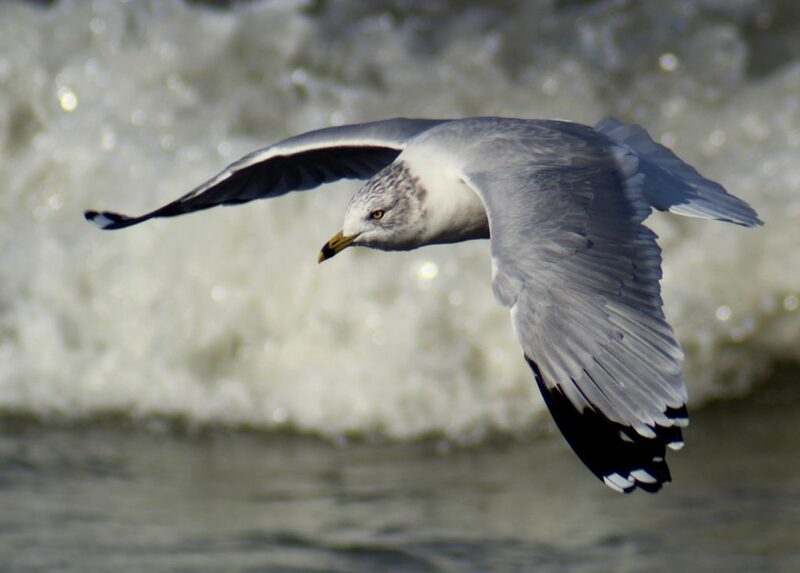 Ring-Billed Gulls are sometimes considered a nuisance; they tend to hang around beaches, harbors, and other areas where humans are present, often flying low overhead and scolding. However, Ring-Billed Gulls are beautiful; they are graceful fliers, capable of quick maneuvers and speeds of 40 miles per hour. They can be identified by the characteristic black ring on their yellow bill. Immature Ring-Billed Gulls are not so easy to identify, though. They look similar to immature Herring Gulls, which frequent the same habitats as Ring-Billed Gulls. Ring-Billed Gulls typically live near water, although some live in urban or suburban areas, often near landfills where they eat garbage. 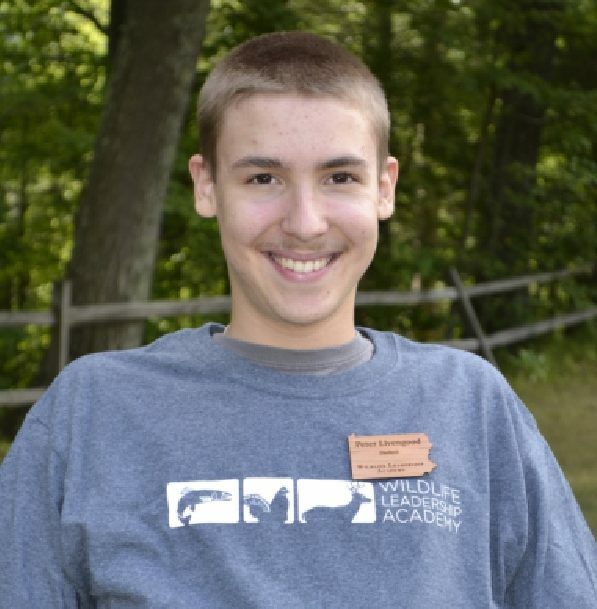 They always nest near water, in colonies ranging from 20 to tens of thousands. Many Ring-Billed Gulls return to breed at the same colony where they were hatched. Nesting sites are often reused from year to year. Nests are built on the ground, and lined with twigs, grasses, and mosses. Clutch sizes are usually 2-4 eggs. Eggs are incubated for 3-4 weeks. Most Ring-Billed Gulls migrate south in the winter. The only area where they live year-round is near the Great Lakes. Ring-Billed Gulls seem to have a built-in compass; chicks only a few days old show preference for the magnetic bearings that would take them in the appropriate direction for their fall migration! Ring-Billed Gulls are quite adaptable and can live a very long time. The oldest known Ring-Billed Gull was at least 27 years old! 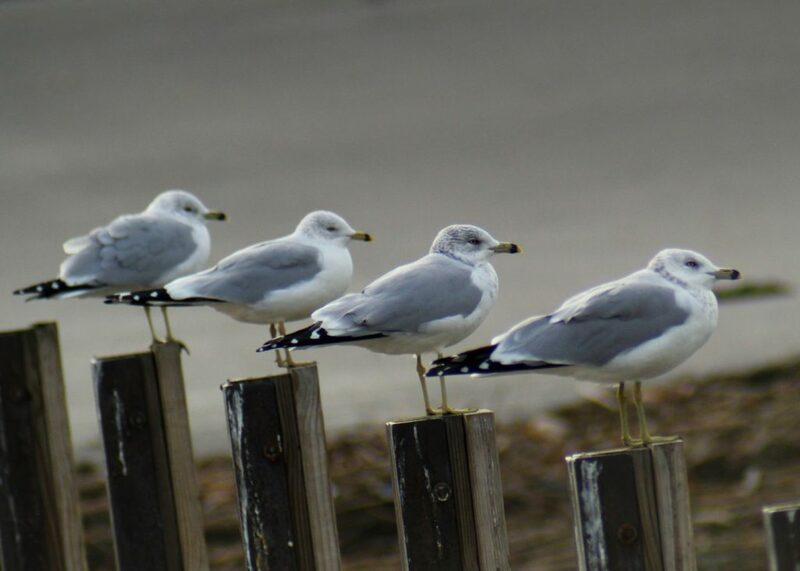 A line of Ring-Billed Gulls perched on wooden posts at Conneaut Harbor, Ohio. Ring-Billed Gulls are a common species, with population estimates of several million. Populations seem to be increasing. Although Ring-Billed Gulls can be a nuisance when one is at the beach, they are interesting birds to study, and even more interesting to photograph! 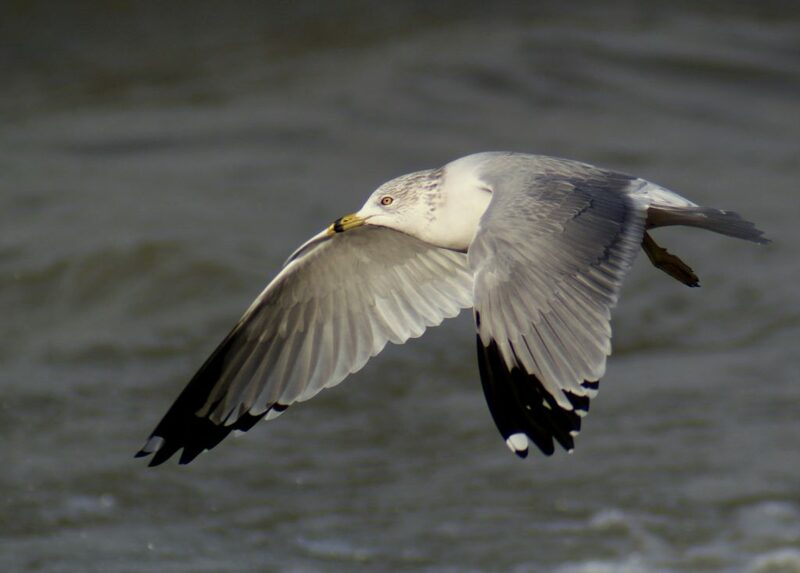 A Ring-Billed Gull flaps its way along the shore line.